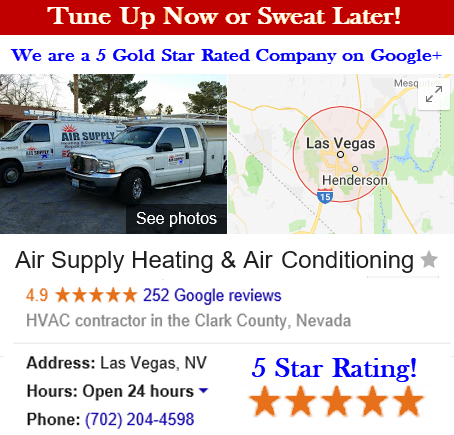 Air Supply Heating and Air Conditioning of Las Vegas, Nevada is completely certified, licensed, and insured to provide our professional expertise and services to the community of the Las Vegas, Nevada Valley at affordable prices. Our technicians are more than qualified to perform the services we offer, with having the attributes and credentials necessary in the industry. 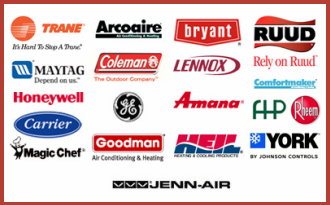 Air Supply Heating and Air Conditioning utilizes high-end quality products and equipment available only to licensed professionals to ensure our valued customers receive nothing less than maximum results. 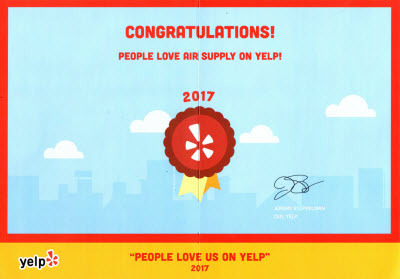 With our top priority being customer satisfaction, Air Supply Heating and Air Conditioning continues to deliver friendly customer service, traditional values, and superior execution. Air Supply Heating and Air Conditioning offers heat pump installation services for commercial businesses and residential homes throughout the Greater Las Vegas, Nevada area. With a heat pump installation incorporated in consumers HVAC systems, they can have the most effective and energy efficient option available to achieve the ultimate in heating and cooling needs. With Air Supply Heating and Air Conditioning certified specialists, your heat pump installation is executed with experienced experts to ensure efficiency and obtaining the right heat pump. How Does a Heat Pump Work in Hot & Cold Weather? Heat pumps operate by using mechanical energy and refrigerant to move heat out of or into the building. It circulates heat in during fall and winter and it then pulls heat out of the home during spring and summer to cool down the building. Heat pumps are proving highly beneficial for homeowners in Las Vegas, Nevada and surrounding areas, below you will find a handful of those benefits and advantages. –	Lower energy costs. Heat pumps top the methods for energy efficiency concerning the HVAC system industry. Utilizing ambient air to contribute to performance, heat pumps save on using energy without the need to sacrifice comfort, unlike central cooling or furnace system that uses force. –	Versatility. Heat pumps are used for both heating and cooling needs, despite being known as “heat” pumps. Heat pumps are an extremely effective all in one solution that can provide total comfort and quality air treatment all year long. –	Equal comfort. With heat pumps operating exceptionally well, your home is never left with uneven temperatures that leave hot or cold spots. The heat or cool air is evenly distributed throughout the entire home, which eliminates temperature fluctuations that can be more than a nuisance. –	Reliability. Heat pumps have an increased long lifespan concerning HVAC systems and often require fewer repairs than other types of temperature control. Having a dependably heating and cooling system can give you peace of mind with more money to show for it. 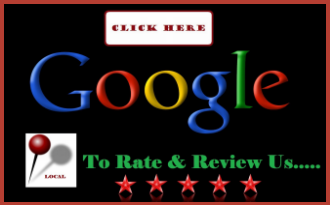 Air Supply Heating and Air Conditioning knows heat pumps well and can consult with heat pump consumers in Las Vegas, Nevada and surrounding areas about the various heat pumps that are right for your needs. With our comprehensive installation, your heat pump will be installed quickly and efficiently by a certified expert. Call Air Supply Heating and Air Conditioning today for your heat pump installation service.